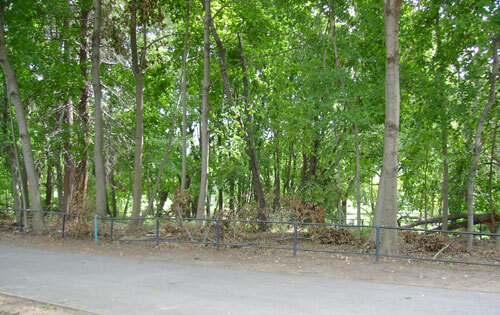 In 1732, when Jacobus Van Cortlandt acquired the tract of present-day Van Cortlandt Park on which the Van Cortlandt House Museum now stands, George Tippett, who sold the property to Van Cortlandt, stipulated that a cemetery included in the tract should be reserved as a burying ground for Tippett and his heirs. This same cemetery is referred to in a 1717 document wherein George Tippett granted the Betts family the continued use of the site that had been “used as a burying ground for a great many years by the families of Betts and Tippitt.” The tract had been connected to these families since 1668, when William Betts and George Tippett (grandfather of the George Tippett mentioned above) purchased the property. The cemetery has been known by a number of names over the years, including the Kingsbridge Burial Ground, the Tippett Family Cemetery, and the Berrian-Bashford Burying Ground. 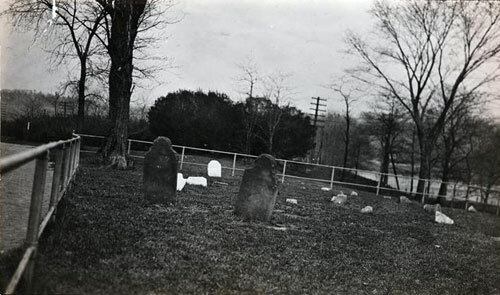 When local historian Thomas H. Edsall visited the burial ground in the 1880s, he found that most of the graves were marked by fieldstones containing no inscriptions or only the initials of the deceased. Five inscribed headstones were present. These dated from 1794 to 1808 and marked the graves of members of the Berrian, Bashford, and Ackerman families that were descendants of the Betts and Tippetts. Today, this burial ground is situated east of the Van Cortlandt House and just west of the southern part of Van Cortlandt Lake. All of the grave markers are now gone and a stand of trees has grown up in their place. The site is enclosed by an iron pipe rail fence. 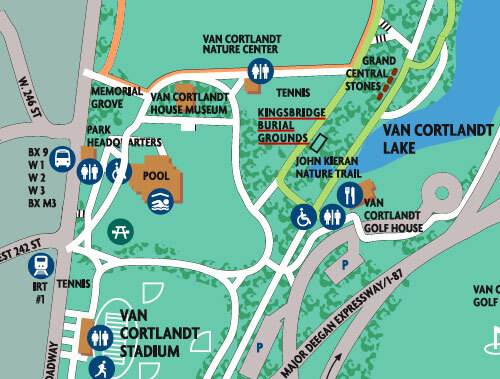 Location of the Kingsbridge Burial Ground within Van Cortlandt Park in the Bronx.